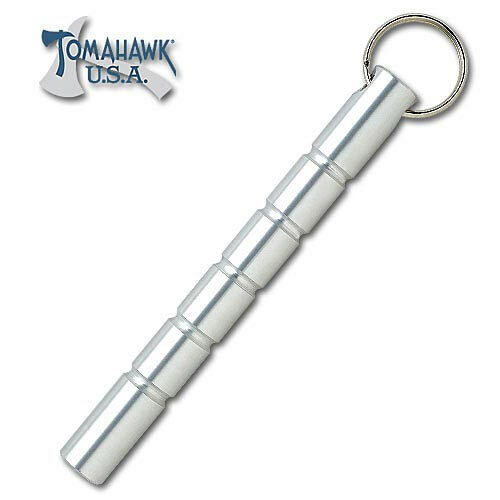 Silver Aluminum Flat Kubaton Keyring | BUDK.com - Knives & Swords At The Lowest Prices! Already have it on my key chain. awesome little piece of metal! ... though it is a little LOUD !!!! but what ever it still ad that extra umph to punches... i would not want to be on the other side of this in a fist fight. I have yet to need to use it but I'm pretty sure that it will do its job well enough. It looks cool on my keychain; the only issue I have is the metal ring grinding on the Kubaton....it drives me insane sometimes.